Apartment Description: Located conveniently near the UVA hospital and Main street this completely renovated home has the upstairs unit available immediately. This one bedroom/one bath unit has a separate entrance, hardwood floors, ceiling fans, granite counter tops and lots of great light. 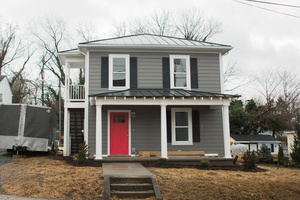 Overall Property: Located conveniently near the UVA hospital and Main street this completely renovated home has the upstairs unit available immediately. This one bedroom/one bath unit has a separate entrance, hardwood floors, ceiling fans, granite counter tops and lots of great light.